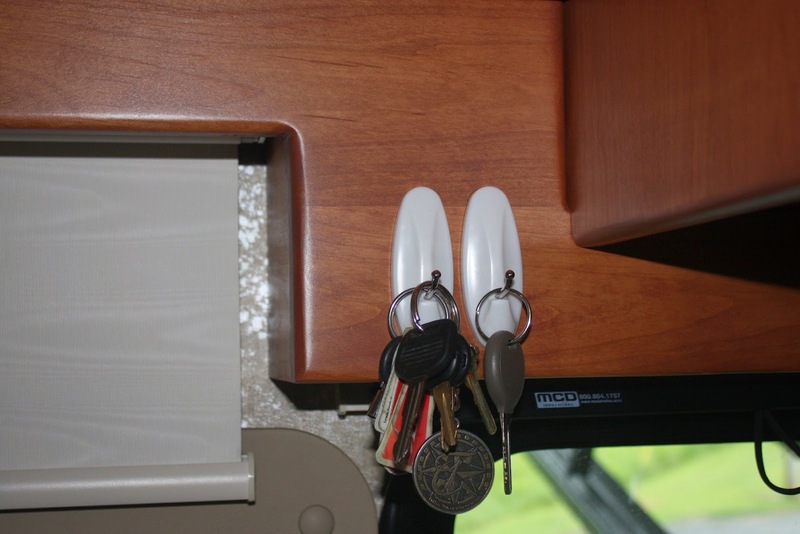 Living in a motorhome is different from living in a stick and brick house. It is pretty much move-in ready when you purchase it. Just bring bed linens, towels, pots and pans, dishes and flatware some food and you are ready to go. Along the way you put in some clothes and cleaning things. But it still looks like it just came from the factory. It doesn't look like people live it yet. So in the last couple of months we have made some minor modifications that now make it look like people live in Phaeth. 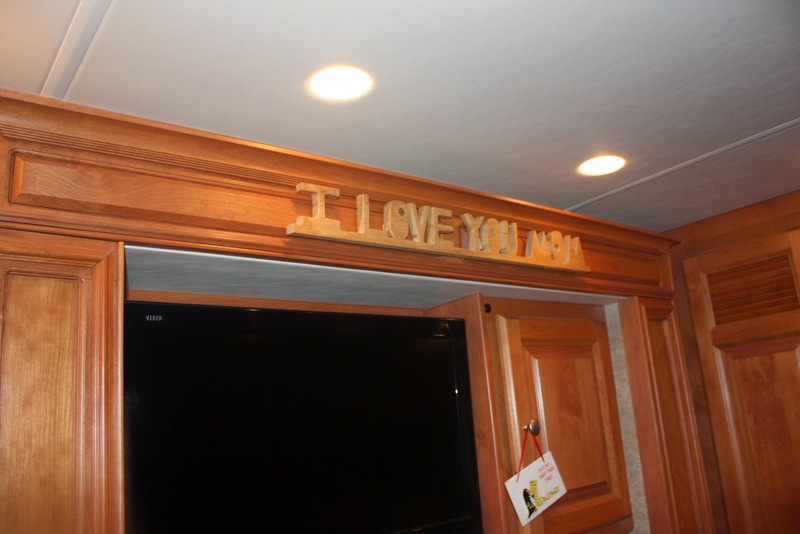 There is not much wall space on which to put personal items but we found some. Keeping the keys next to the door has always been a habit of ours no matter where we have lived and Phaeth is no exception. 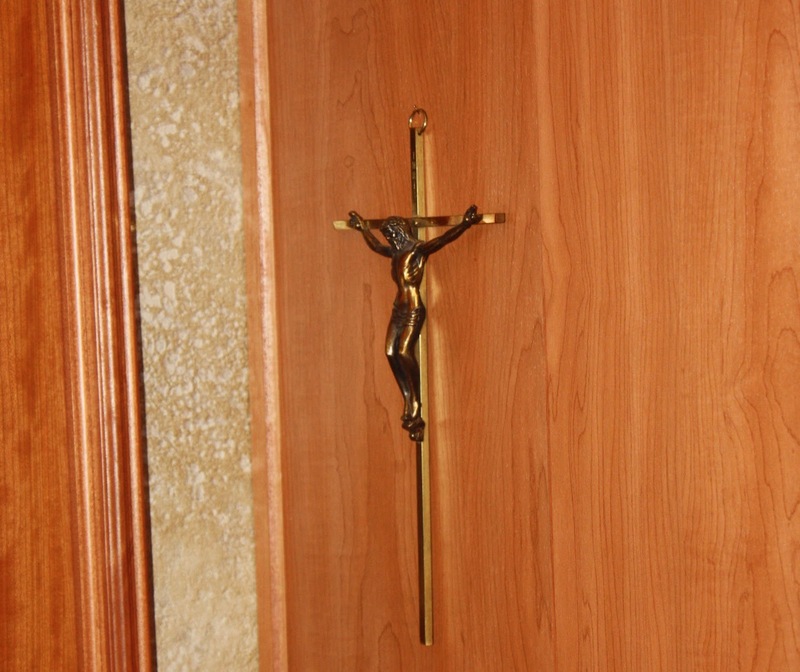 We have always had a crucifix in our home and we found a place for it over our bed in the motorhome. Another personal item over Joanie's sink next to the rear thermostat. We also added a soap dish and Joanie wanted a tooth brush holder. We found this suction type holder at WallyWorld. We also replaced the robe hooks that the factory installed with towel rings also made for Tiffin that match our décor. 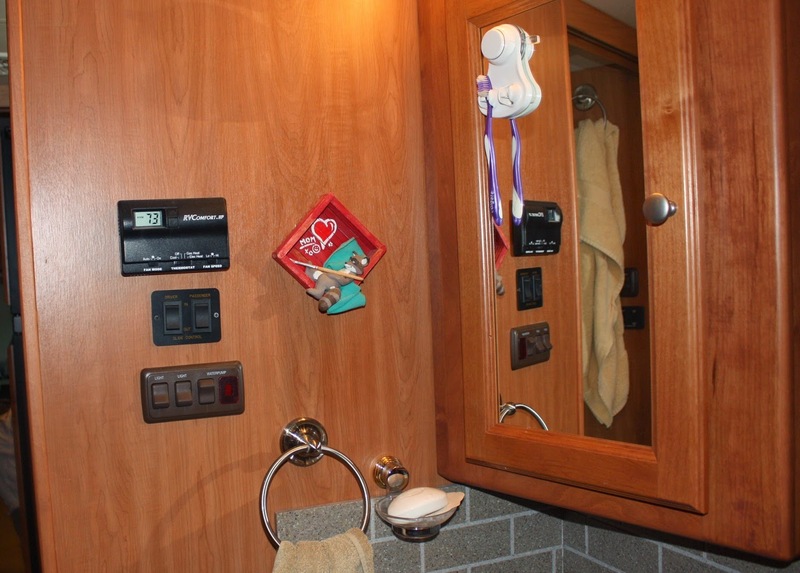 The towel rings work a darn site better than hooks that dropped the towels on the first bump out of the campground. The one enhancement that we are not so proud of is the addition of Direct TV satellite service. We really thought we could live off campground cable or free over the air TV. We would read books when we did not have free TV. 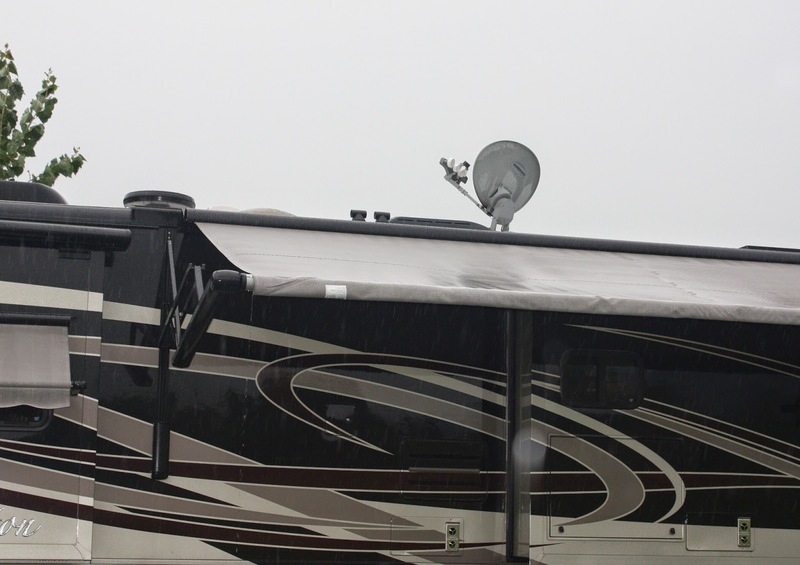 But alas, we have found that campground cable is not common and unless we are in a city that has broadcast TV stations, free O-T-A TV is nonexistent. We seem to camp in small towns away from cities or in valleys where the signals are blocked. For example we were in Red Bay for almost a week with no TV at all and now, while we are just a half hour outside Huntsville, in a valley where the surrounding mountains block signals. The Russians shot down an air liner and we didn't know about it until we saw a news paper in a rack in the grocery store. We realized we were becoming out of touch. Therefore, Direct TV.